It's the last leg in the journey now, we're left with 6-8 weeks before we meet her in the flesh. 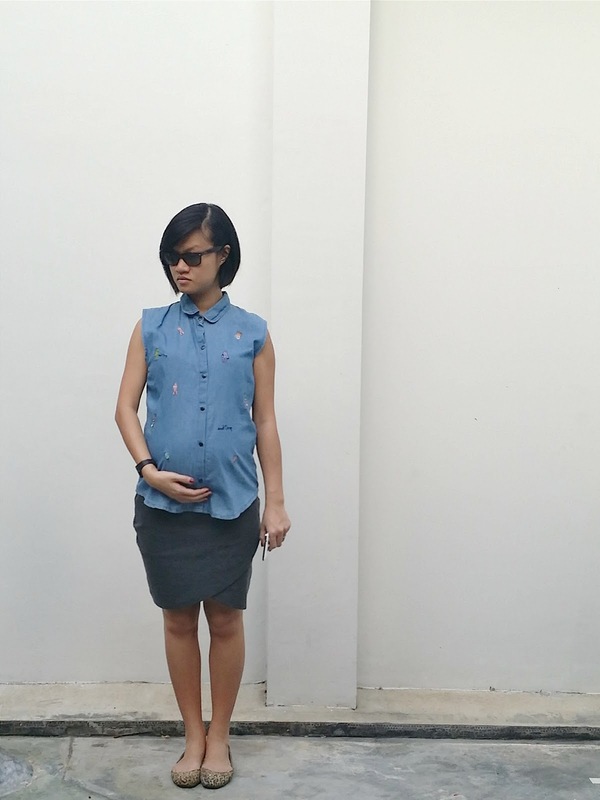 This pregnancy process continues to be very surreal, apart from moments when my ribs are kicked. We're looking at a baby who can survive outside the womb from this week forward. At 1.8kg, she's come a long way from 4cm at the turn of the first trial-mester. Her head circumference is around 24cm and her thigh is a startling 6cm long. Definitely due to the genes of her daddy long legs. To give an easier picture, she's about size of a big pineapple - 35-40cm in length. Things have pretty much stabilised where diet is concerned. I don't eat a lot in general. But I've definitely developed the discipline of taking mini snacks, like fruits or cakes between meals. 6 meals a day is still too many to handle, so I try to at least have a tea break or a biscuit slightly before lunch. Hydration though has become so important! I realise my blood volume has increased significantly in the last 2-3 weeks. This has left me with cracking lips and dried skin (despite moisturising daily). So I'm downing about 2-2.5 litres of water religiously now. She's recently taken to getting her right foot lodged somewhere under my rib. Wow. The pain of that brings tears to my eyes. Not so much an ache but more the shock of the impact when she kicks. The bladder is now fist size possibly. Remember how I'm drinking heaps? I'm also now heading to the toilet every 20-3o minutes. A real problem when I'm in the middle of a phone conversation with my client. We are absolutely over-flowing with love gifts. A fully cushioned cot liner, a rocker (make that 2), a little rocking toy and bags of tiny clothing to choose from (mostly boys) haha. But still, we're so grateful. Since the nursery post, people have given us not only advise but very practical help as well. Now all that's left is to get the mattress for the cot and the curtains washed. The good part about being homebodies is that we can really take time to organise and re-organise whenever we feel the need to. I can't wear anything is my wardrobe. It's a nightmare getting dressed for work in the mornings. Nothing fits! Like a skinny girl horror movie. The buttons are stretched to maximum capacity the moment I sit down. So embarrassing. Oh well, no one is pregnant forever. I'll just get back into my favourite jeans later. Swimming. I'm so glad we've formed the routine of swimming late Monday mornings (and the occasional Saturday). We didn't bother paying for aqua aerobics, we simply went to a regular pool and did laps. It's so relaxing. Takes the weight of my back and gives me a good stretch as well. Humblet herself seems to really enjoy the water, squirming and kicking as I'm swimming. The gynae tells us I'll be able to swim right up to my delivery date, so we intend to keep this up for a bit. It's really the last leg. Not sure how many more <baby bumps> there will be, but J.G. and I are so grateful for everyone of you who have showered us with your generousity. Seeing humblet so loved before she's even born gives us immense joy. hi Amy! 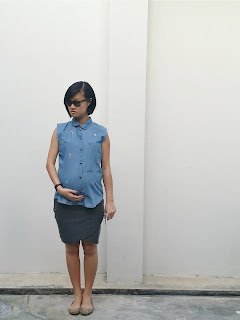 I really enjoy the pieces on your blog (: jiayous with the motherhood (: you'll make a cool and godly mum to humblet!